Miles Mikolas is 10-3 with a 2.65 ERA and was selected to his first All-Star team. 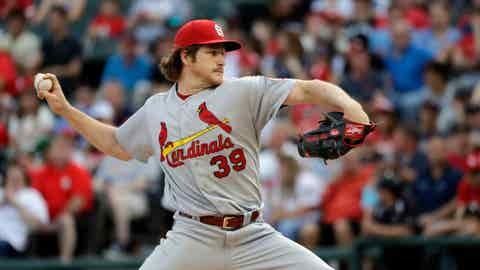 CHICAGO — Cardinals pitcher Miles Mikolas was removed from the National League’s active roster for the All-Star Game next Tuesday because he is scheduled to start Sunday for St. Louis against the Cincinnati Reds. Los Angeles Dodgers right-hander Ross Stripling was added to the NL pitching staff Wednesday as Mikolas’ replacement. Stripling also has been a big surprise since stepping into an injury-depleted rotation for the Dodgers. He is 7-2 with a 2.22 ERA in 24 games, including 13 starts. In his third big-league season, he has 103 strikeouts and only 13 walks in 89 1/3 innings.